The San Francisco Giants' waterfront home is now named Oracle Park. The Giants announced a 20-year naming-rights deal Thursday with Oracle, the technology giant located in the Bay Area. The ballpark had been known as AT&T Park since 2006, and it was home to three World Series championship teams over that span. 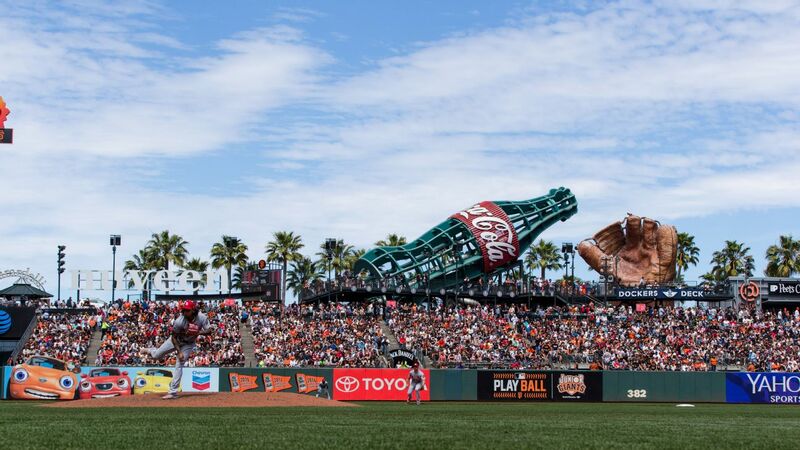 "It's an iconic park, and we kind of view it as a landmark," Giants CEO Larry Baer told the San Francisco Chronicle. "We said early on we want this park to age gracefully to the point we can feel like what Fenway might feel like in Boston, and Wrigley might feel in Chicago." Bloomberg reports that the deal with Oracle is for more than $200 million, a significant increase over the $100 million that naming rights brought the franchise over the past 20 years. The Golden State Warriors are currently playing their final season in Oracle Arena, across the bay in Oakland, California. The Warriors, who won three NBA championships while playing in that venue, are set to move to a new arena in San Francisco next season, and Oakland's arena will be renamed. AT&T's name went on the Giants' downtown ballpark in 2006. It was Pacific Bell Park even before it opened in 2000, then SBC Park in 2003, and finally changed to AT&T Park when the telecom giant bought out its predecessors. "We really like the fact that Oracle is a local company," Baer said. "They're not going anywhere. We're not going anywhere." AT&T told the Giants last fall that it was going in a different strategic direction, Baer said, and the team found a new sponsor in Oracle, which already has sponsorships with the team. Oracle CEO Mark Hurd said the visibility the company gained with the Warriors' success in Oakland played a key part in the company's decision to make the deal with the Giants.